That old crib was what I slept in as a baby, and so did all of my siblings. Of course crib safety has changed since then and I couldn't pass this down to my own kids without completely changing it. 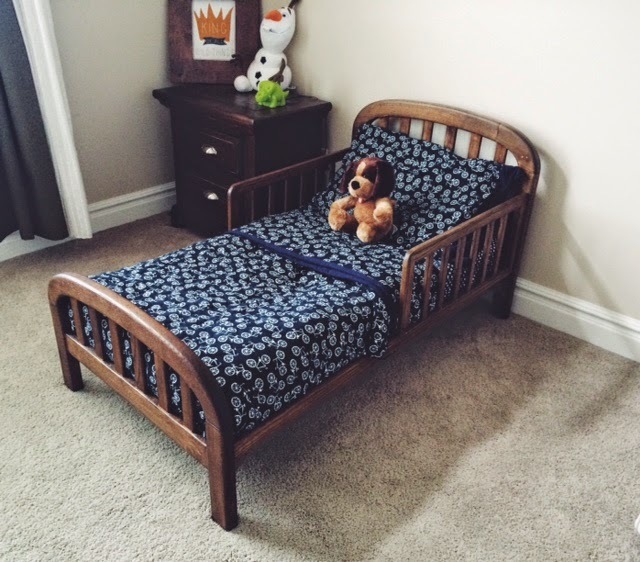 Converting it into a toddler bed was a great idea and my 2 year old loves his little bed. Let's get started. The following is written by my engineer hubby. It is very important that you make an inventory of the parts you have available to you from the old crib before you begin to disassemble. For example, with the exception of a few fasteners, we determined no new parts (i.e. hardware, side rails) were needed for this conversion. 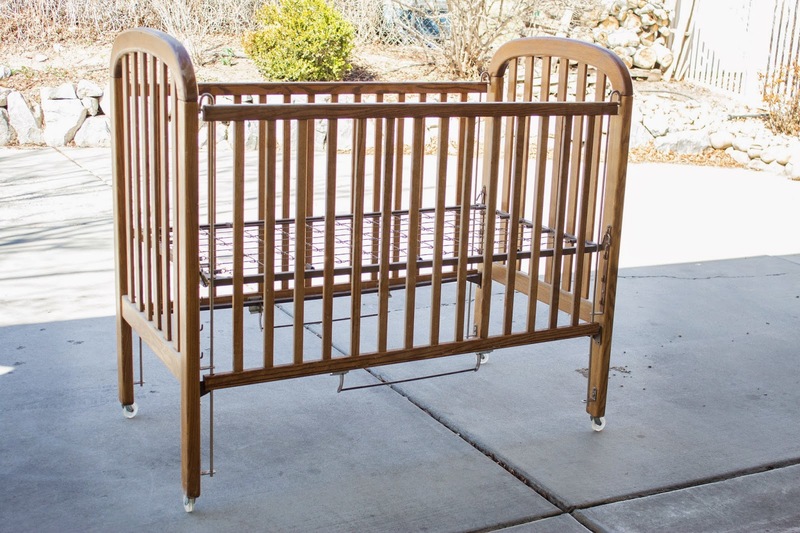 Distance from top of mattress support to ground - 7.5"
Distance from top of safety rail to ground - 19.5"
Safety rail height - 11.5"
Once you are comfortable with your plan, begin to carefully disassemble the crib. Organization of your work space is key during this step. As you can see in the photos below and depending on the style of the crib you are working on, a mountain of parts can begin to pile up. We carefully removed all hardware and fasteners - utilizing plastic baggies to make sure we didn't lose anything. 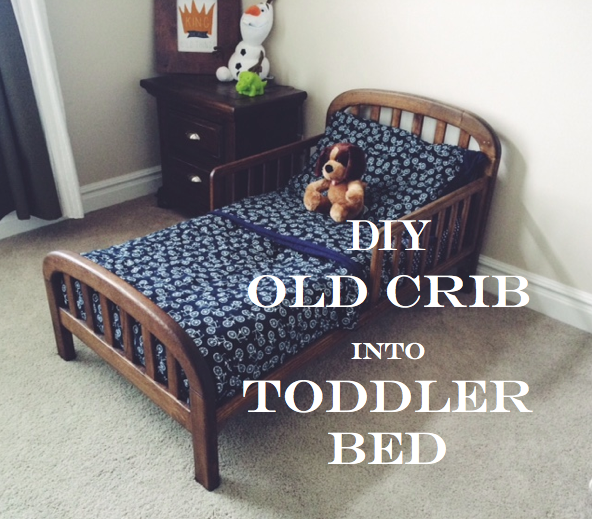 The challenging part about this project is to see how creative you can be in reusing old elements of the crib. 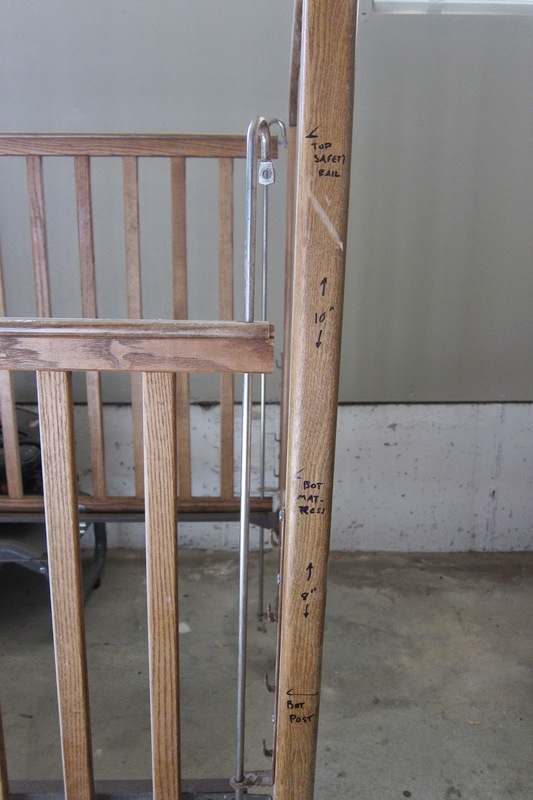 Below is an example of how we used the top rail of the old side board to build the safety rail. It became tricky as we tried to align dowel holes in the bottom rail and the new location of the top rail. 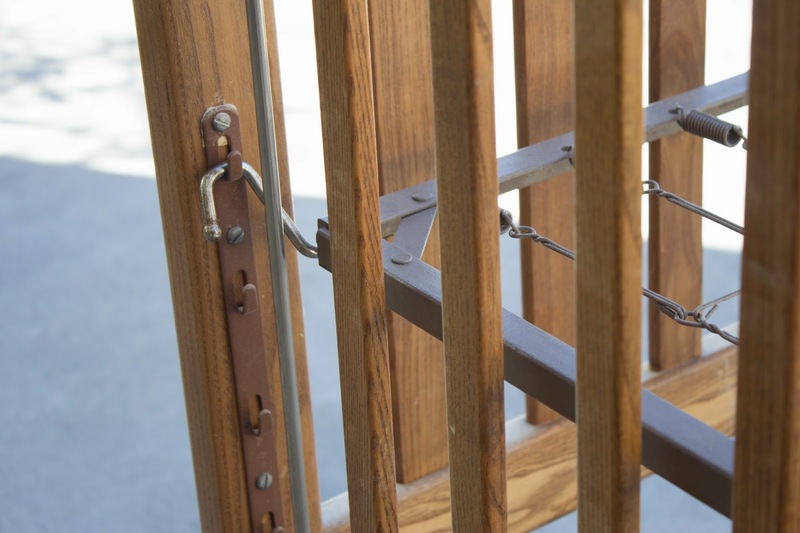 Once the safety rail was completely assembled, we rounded off an exterior, sharp corners. 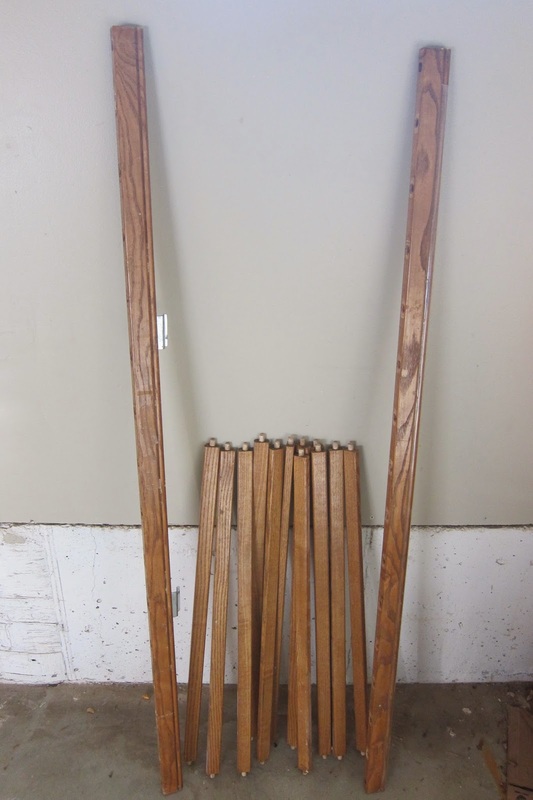 Because this is a re-purposing project, be prepared to deal with little details like old dowel holes in the side board as shown in the following picture. In this situation, These dowels holes were no longer being used, so we had to plug each one.. Frequently dry fit your project together during the build process. Here is an example of the footboard and partially finished headboard. Only glue/permanently fasten pieces together when you are happy with how all dependent elements interact together. 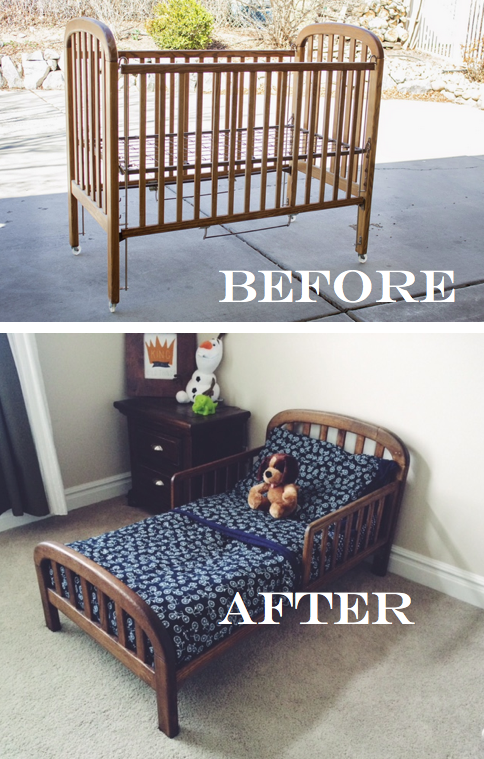 Don't forget the reason for repurposing this old crib is two-fold; adding new life to an old, well-used piece of furniture and providing our kids with a safe place to rest. Make sure all exterior corners are eased, all hardware/fasteners are well protected, and that the finish is smooth and without burrs.